Oscar Wilde: I am my own Judas. Rupert's Oscar is Oscar gold! A solid biopic about Oscar Wilde with a terrific Rupert Everett in the leading role. A great transformation not only physically but also his whole mechanisms as an actor are totally redefined. I would not be surprised if his performance as legendary poet and playwright Oscar Wilde will actually get him Oscar attention next year. Its definitely a performance they soak up and adore. The film itself was fine, but nothing to write home about. I had some troubles with Rupert Everett's direction actually. It could have been better set up and the narrative was a bit weird at times. Performance wise it was not only because of Everett's undoubtedly great performance good. Emily Watson shines as his estranged wife but I had hoped she would have more screen time as she really lived that character and although the screen time was limited she really shined in all of her scenes. 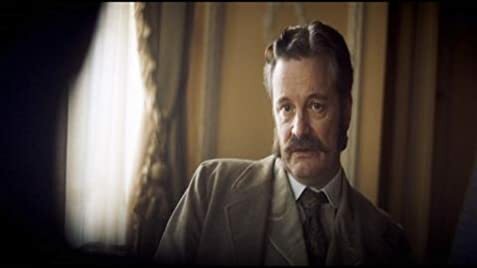 Colin Firth was good as well and took care about some comedic relief in a at times too dry biopic. The score was good and the cinematography fine - offering a lot of beautiful sceneries. 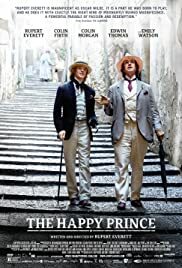 Definitely worth to check out for the performance and if you are a fan of Wilde himself as they depict him and his work and language just well.